2 Peel and core apples; cut into 16 slices. 3 Unroll dough; separate into 16 triangles. Place 1 apple slice on shortest side of each dough triangle. 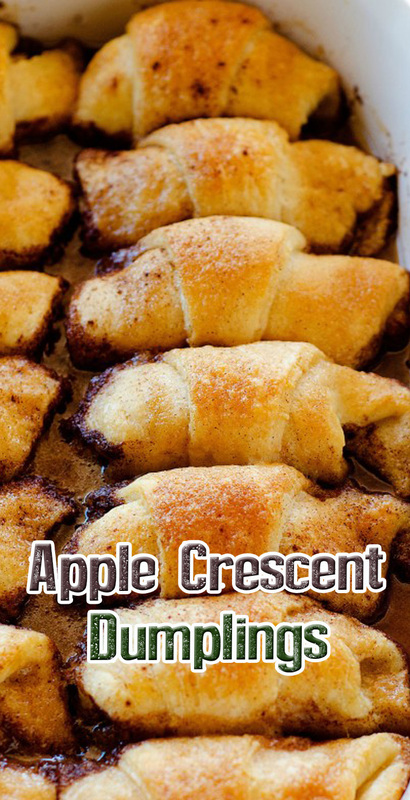 Starting with shortest side of triangle, roll to opposite point, wrapping dough around apple slice; arrange in pan. 4 In medium bowl, stir together melted butter, brown sugar and cinnamon. Pour mixture evenly over dumplings. 6 Bake 33 to 36 minutes or until golden brown. Let stand 15 minutes.